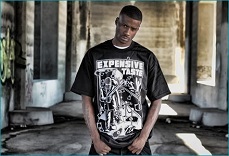 Growing up in the Nickerson Gardens projects, gang crime is all too familiar to Strange Music’s Jay Rock. In ‘The Black Thing”, the LA Weekly examines what life is like in the project as residents live under constant surveillance from local and government authorities. Jay comments on his experiences living in Nickerson Gardens and remembers a fallen friend. The story, rich with nuance and detail about life in the projects, is a poignant reminder that Jay hasn’t forgotten where he came from.